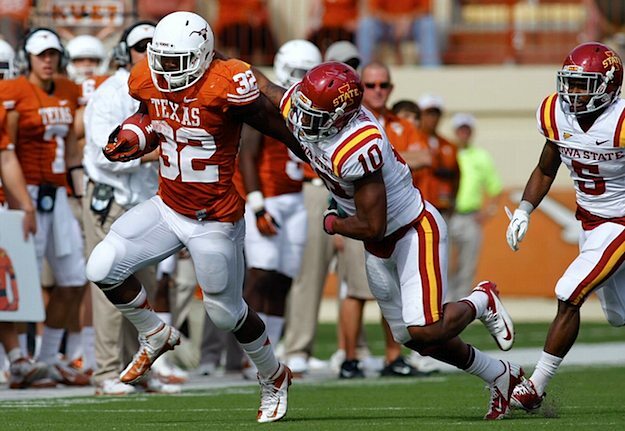 Running back Johnathan Gray has been placed on the preseason watch list for the 2015 Earl Campbell Tyler Rose Award, which honors the top offensive player in the nation who either hails from the state of Texas, graduated from a Texas high school or played at a Texas-based junior college or four-year college. (...Continued from above.) A native of Aledo,Texas, Gray rushed 10 times for a season-high 101 (10.1 ypc) yards and had a career-high three TDs against West Virginia in 2014. For his play against the Mountaineers, he earned the team's offensive player of the game award and received honorable mention running back of the week accolades from the College Football Performance Awards. Gray enters his senior season ranked No. 15 on the UT all-time rushing yards list (2,118). Gray is also on the preseason watch list for the 2015 Doak Walker Award (nation's top running back). Named for the former Longhorn and Heisman Trophy-winning running back, the Earl Campbell Tyler Rose Award features 39 players on the 2015 preseason watch list.